We are living in an era of distilleries being revived, opened or expanded. In my own county of Fife we've seen Eden Mill, Kingsbarns and the Glenrothes distillery all spring into life recently. At one point last year I was told a figure of 30+ distilleries were in the works, which is a bewildering uptake. And a remarkable turnaround after the closures of the 1980’s. Whisky is booming and for some it's all about making money after a sizeable capital outlay with the de facto 3 years and a day before that magical moment. Trying to keep track of these projects as they come to fruition and their accompanying whisky schemes is almost a full-time role in itself. There are a handful of notable projects that personally do stand out - for instance the Harris distillery which has focused on the island community. I've joined their 1,916 programme, purchased a couple of shares in their cask ownership scheme and will finally visit Harris later this year. Then there is the Dornoch Distillery. Dornoch resides in a region of Scotland often overlooked in favour of the West Coast, or in whisky terms for Islay or Speyside. I have grown to love the area having spent a great deal of time visiting relatives after marrying a local lass. For whisky it has much to offer including Balblair, Brora/Clynelish, Dalmore, Teaninich, Glenmorangie and the Dornoch Castle Hotel; a worthwhile destination for any malt enthusiast. Set in the centre of the town, the castle stands directly across from the 13th century cathedral and alongside the former local jail. The hotel is the domain of the renowned whisky bar that offers a widespread selection of whiskies from across the decades. I recently put together a tasting from the bar which you can read about here and not only was it enjoyable but a welcome whisky experience. I’ll piece together another tasting later this year for sure. The Dornoch Castle hotel is a family business of which Phil and Simon Thompson play an important role, particularly the running of the whisky bar. It's here they've put a stamp on offering old whiskies at affordable prices. Not only expanding the experience and knowledge of clientele, but their own awareness. If you wanted to discuss yeast strains or debate certain bottlings in greater detail then this is bar, forum and destination to pencil in for your next trip to Scotland. The ultimate ambition for sometime has been to establish their own distillery. Thereby taking all of this knowledge, passion, belief and appreciation of the old-style whiskies and trying to revive them. After all, old bottles are becoming increasingly scarcer and harder to find at a decent price for the bar. It makes sense long term to branch out and do something very challenging to separate their distillery from the pack. Down a lane that runs alongside the Dornoch Castle exists the old Fire Station, which was built in 1881 and is a small but self contained stone outbuilding. It is here that the brothers have chosen to establish their distillery; small yes, but perfectly formed with not an inch of space wasted. You can appreciate this from the proposed design sketches here. This won't be a huge distillery or even a modest one by today's standards. A set of direct fired pot stills will be at the centre of it all with a 2000 litre column still along for the ride. In cask terms the weekly output will be tiny (10 octaves or 2 hogsheads per week), but it's what is going into the barrels themselves that is most intriguing. In pursuit of the old style you have to research the old methods. Clearly the lads have done their homework and propose their production will cost triple compared to other modern distilleries. It starts with the organic barley, which by nature is more expensive due to its lower yield yet possesses more flavour characteristics for the whisky. It'll be floor malted by human hand rather than the machines used by Baird's in Inverness - who lets be honest wouldn't be able to commercially process such a small amount, or would want to entertain odd strains. Lets not overlook the importance of yeast in this process. This life giving fungus has also been streamlined in recent decades for efficiency and consistency. 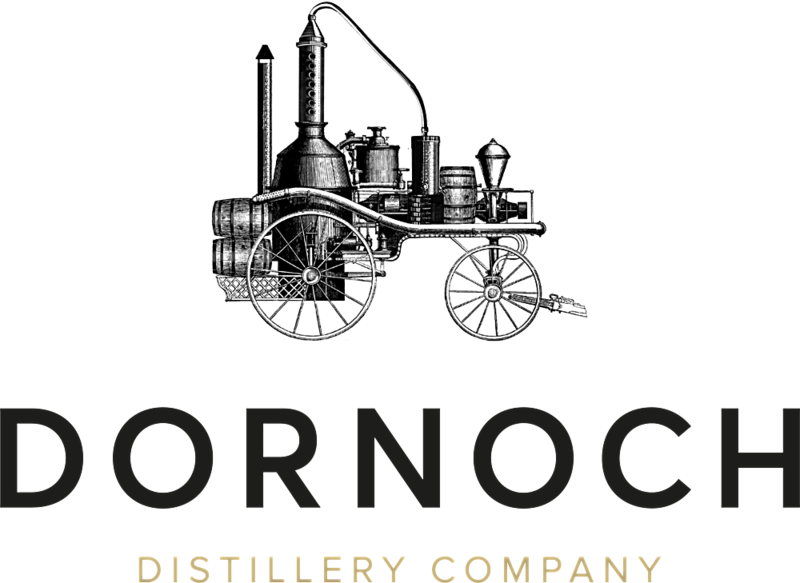 Dornoch distillery has acquired various strains of old yeast varieties to experiment with and anti-foaming agents are banned. In essence you have the re-engineering of processes and ingredients prior to the arrival of computerised Scotch and consistency. I'm sure there will be highs and lows, lessons and triumphs, but above all, a respect for the process and a high quality end product. This brings us nicely to the recently announced Crowd Funding initiative. Launched last week the aim is to raise enough capital to avoid any need for bank loans or equity investment. You can read about the desire to keep free of such features here and they've gone so as to even put up their house for sale. That's commitment and whenever I'm faced with a demanding decision in life, I'll take the difficult option as more often than not, its the right choice. For the fund raising effort they've decided against a one scheme for all, which we've seen in the aforementioned distilleries and others on the horizon. Instead as a potential supporter you have 5 options ranging from £50-£2000 to cover all levels of involvement. These harbour all sorts of features from a bottle of their first gin, to being involved in the experimental tasting panel. The brothers not only want your support and hard earned cash, but they'd appreciate your feedback on what they're creating. Special offers are also linked as you rise up through the potential layers of contribution, some of which are limited to a specific number. Sitting top of the tree is the 'fund our dream' option that is limited to just 100 and includes your own octave 50 litre cask. Now I have baulked at such a price previously with other distilleries, but here the attraction is not only the complete package, but to be involved initially in what promises to be a remarkable journey. The focus on tradition and old style methods is like music to my ears that have been battered by modern day whiskies. So yes, I've put my money where my mouth is! The Dornoch Distillery promises to be such a fascinating addition to the Scottish whisky landscape. What will the experiments produce? Can the old-style be recreated and then expanded for a new generation of enthusiasts? These questions and more will only be answered in the coming years.